Chinese Moon Festival is coming soon. 2014 Moon Festival will fall on Sep 8 (Monday). It is believed that moon can make your wishes come true if you make a wish to the moon on that Moon Festival night. The Moon festival is on the day of the 15th of the 8th Lunar month. 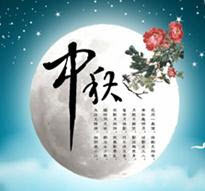 Moon Festival is also called Mid-Autumn Festival, Zhongqiu festival or Union Festival. It is the second largest Chinese traditional festivals in China. It is said on the moon is the “biggest” and “brightest” on this day in the whole year. On this day, Chinese like to gather together at night under the shine of the moon to celebrate this festival. Moon cakes are the traditional food and Moon Rabbit is the symbol of the Moon festival. Moon festival is the good day to pray and make wishes. It is believed that Moon can help you wishes come true, especially those reunion wishes. Children also can wish that they have smart mind and get high score in their education. It is very easy to pray to the moon. You just prepare some fruits and moon cakes, incenses and incense burner. At that night, just display those fruits and cakes on the table, light up 3 incense sticks, knee down facing to the moon and make a wish to the moon. After you make a wish, put the incense sticks back to the incense burner and wait till the incense sticks burn out. Moon will help you achieve your goal. A lot of Asian cerebrate Moon Festival, such as Vietnam, Singapore, Malaysia, etc. Some places have fire dragon dance and display big lantern. You will see a lot communities have Moon Festival Cerebration. Enjoy on moon festival!